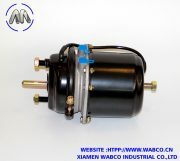 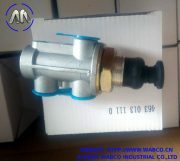 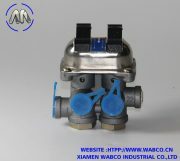 The function of the quick release valve is to speed up the exhaust of air from the air chambers. 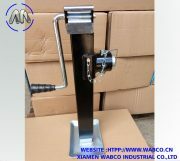 It is mounted close to the chambers it serves. 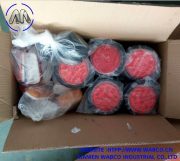 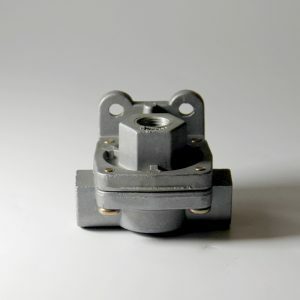 In its standard configuration, the valve is designed to deliver within one psi of control pressure to the controlled device; however, for special applications the valve is available with greater differential pressure designed into the valve. 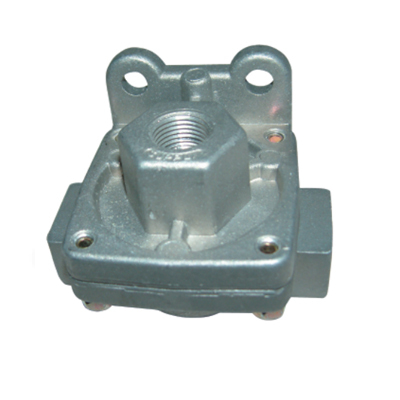 Several styles of quick release valves are available and are functionally the same. 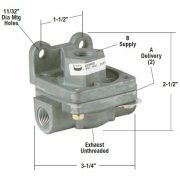 The QRV quick release valve is the oldest design and utilizes a die cast metal body with an internal diaphragm, spring and spring seat. 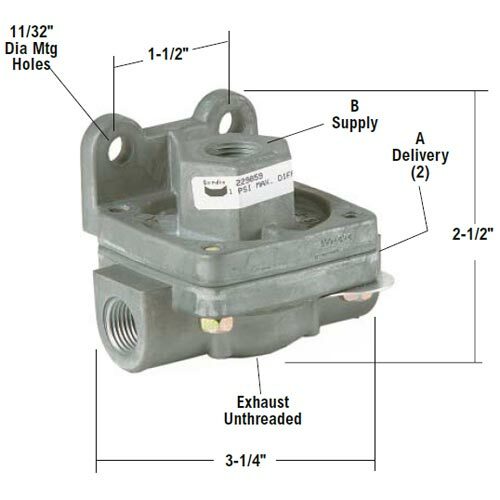 The QR-1 quick release valve also has a die cast body and diaphragm, but does not employ a spring or spring seat. 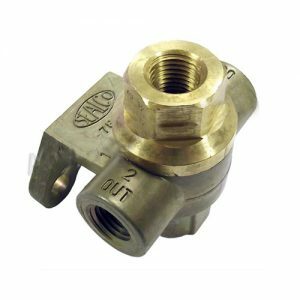 The (non-serviceable) QRN-2 quick release valve is a nonmetallic version of the QR-1 quick release valve. 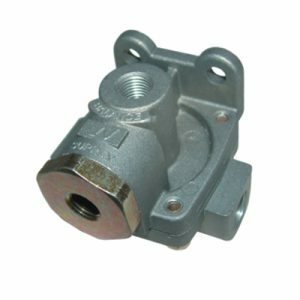 The QR-L quick release valve is an inline device.